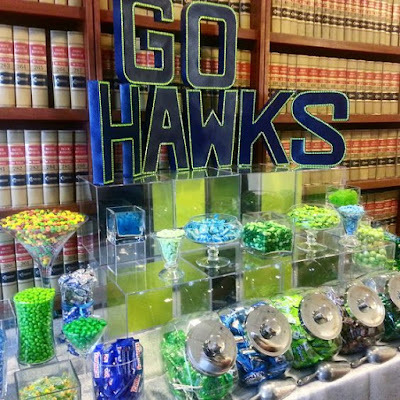 Planning a Seattle Seahawks themed wedding? Check out my Seahawks Pinterest board for all the ideas and inspiration you could possibly need! 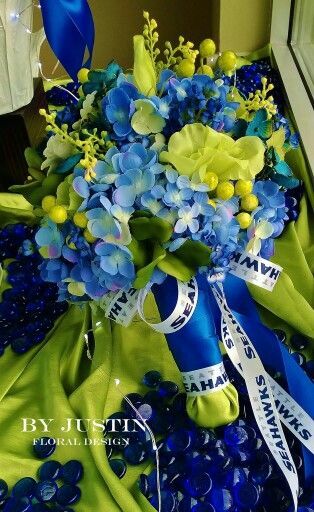 I love this Seahawks bridal bouquet in lime and blue! 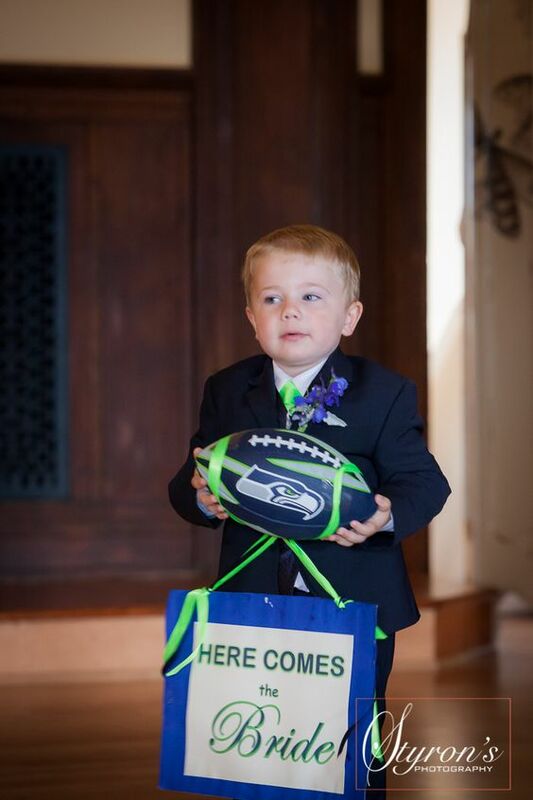 This ring bearer all decked out in Seahawks gear is just the cutest! Every wedding needs a fully stocked candy buffet! 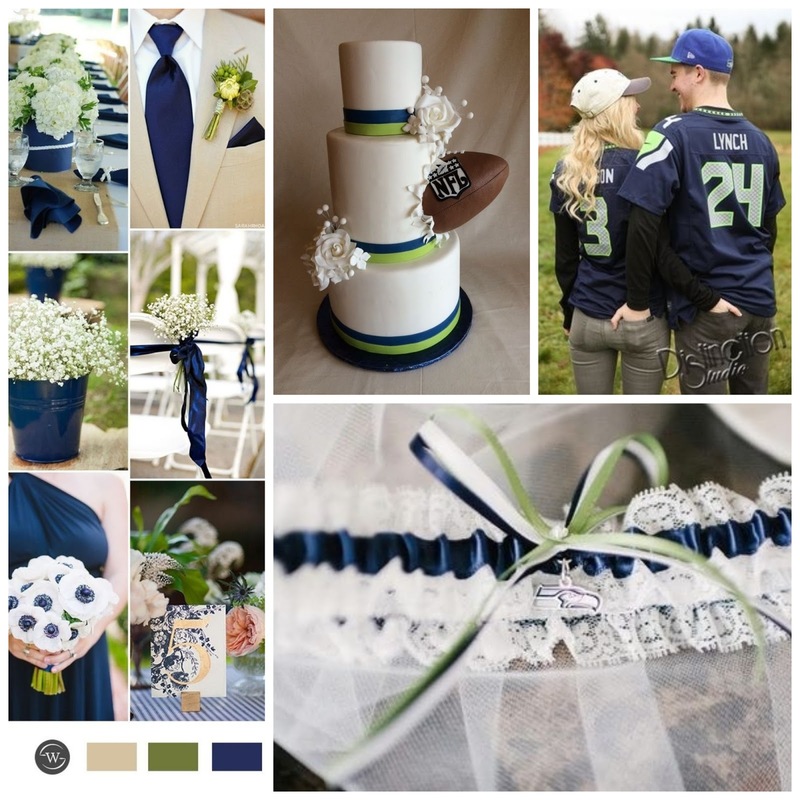 And don't forget to pick up your Seahawks wedding garters from my shop!